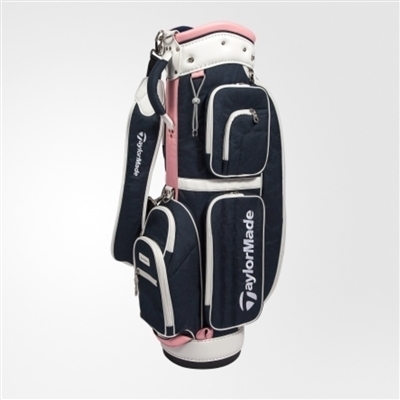 The TaylorMade Fashion Sport Cart Bag is a larger bag for the fashionable women golfers of Hong Kong who want to carry a bit more around such as rain covers, lots of golf balls, rain gear and other golf accessories in style. It's not really a bag for carrying around the course but if you like to take loads of golf stuff with you then this is an excellent golf bag. If you have a golf bag you're looking for, and don't see it here, please get in touch with HK Golfer - the best golf store in Hong Kong for buying golf bags.